Adult Tweedle Dee and/or Tweedle Dum costume, consisting of a jumpsuit with plastic hoop and zipper in the back. Gloves are included, the hat is sold separately. 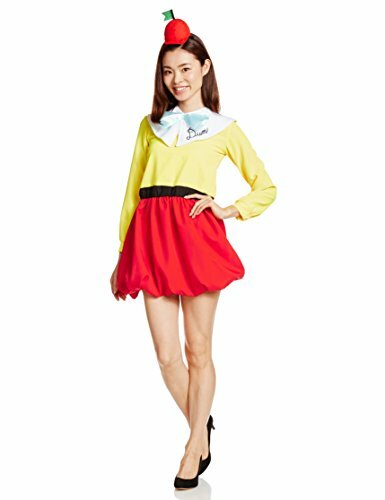 Tweedledum/-dee costume for girls. 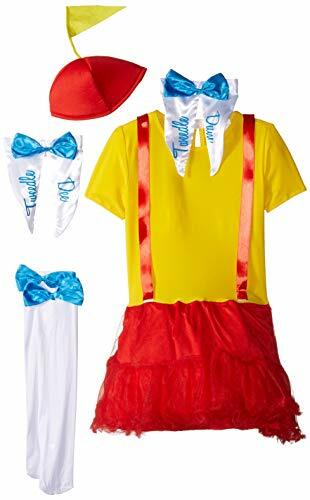 Includes a red and yellow frill dress, a baseball beanie with a flag, knee high socks and 2 collar bows with ‘Tweedle Dee’ on one, and ‘Tweedle Dum’ on the other, so you can choose which one you want to be!